The conference venue is the Faculty of Social Sciences at the University of Ottawa. Below you will find information and directions for hotels, parking and bus routes in the area. Preferred rates are available at Les Suites Hotel in Ottawa. - Suites are subject to availability – please ensure to create your reservation! For travel between Les Suites Hotel and the Faculty of Social Sciences, reference the map below. 1. Head northeast on Besserer St (38 m). 2. Turn right onto Waller St/Ottawa Regional Rd 97 (210 m). 3. Turn left onto Waller St (45 m). 4. Turn left onto Séraphin-Marion Private (66 m). 5. Turn right onto University Private. Destination will be on the right. Click here for detailed directions provided by Google Maps. For getting around on campus, click here for an interactive map. Guests may part in visitor parking lots. Click here for information on parking rates. 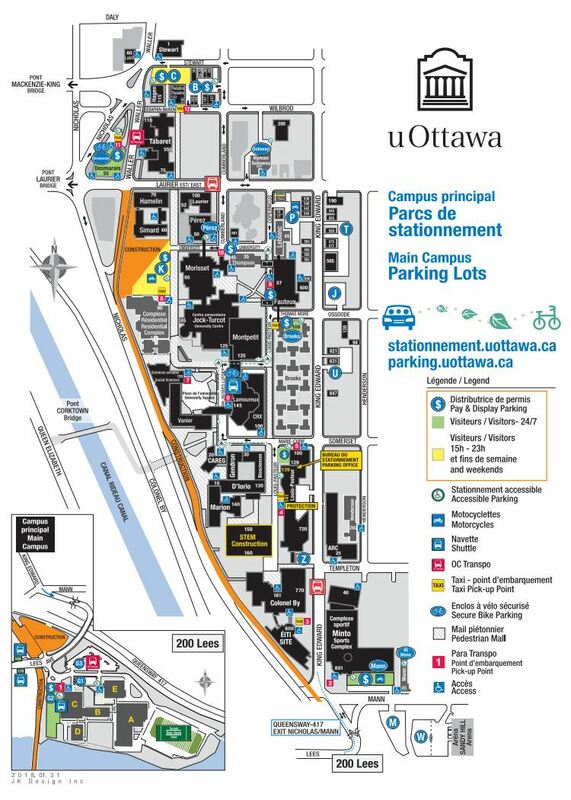 View below for a map of the available parking locations on campus or click to download a larger version or view the interactive map. 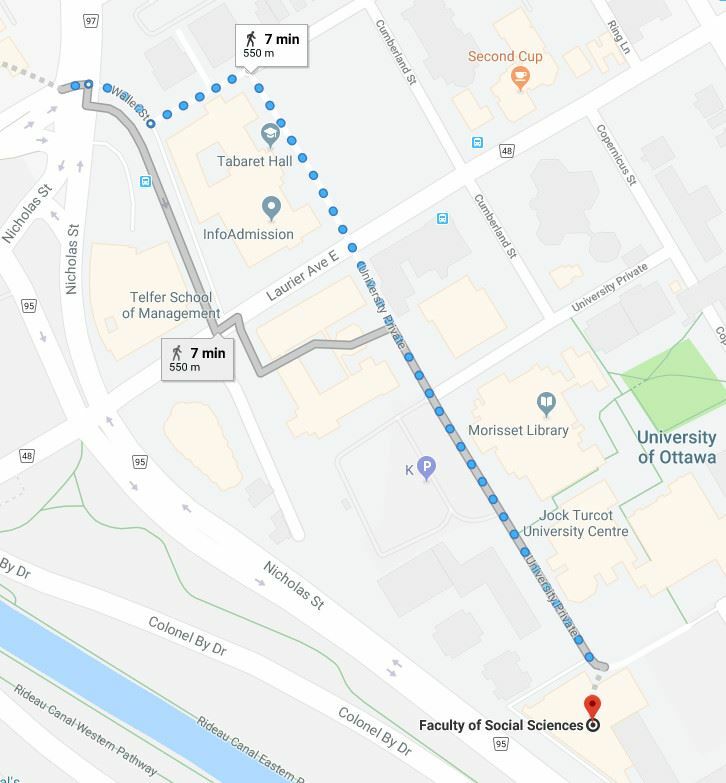 The closest parking lot to the Faculty of Social Sciences is beside Simard Hall. Walk to University of Ottawa Faculty of Social Sciences, down University Private. Click here for more detailed directions provided by Google Maps. 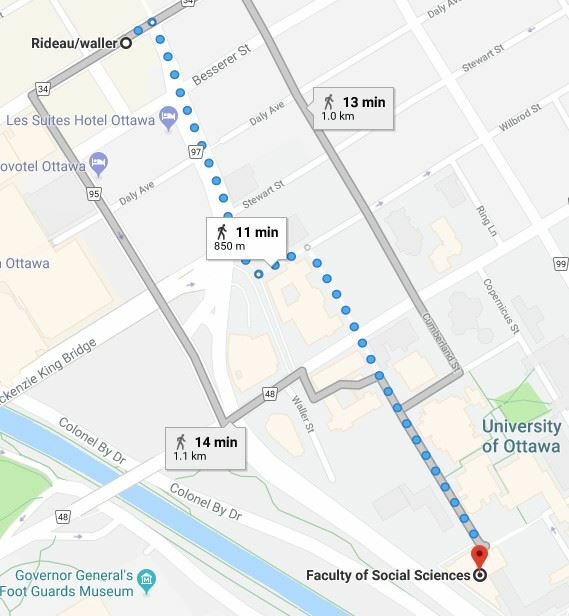 Walk to University of Ottawa Faculty of Social Sciences, University Private. If you are at the CF Rideau Centre, you can take the 85, the 94, or the 44 towards Laurier E/Cumberland. (University of Ottawa). 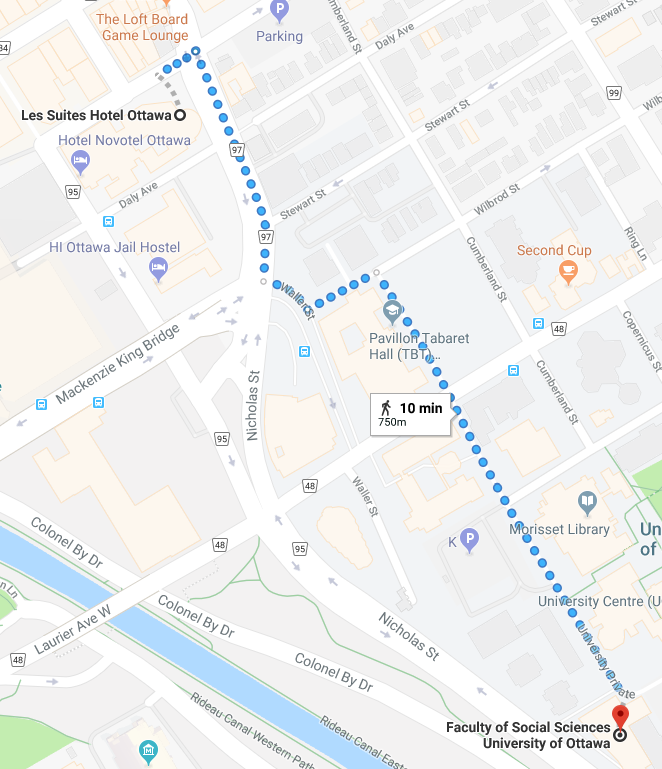 If you are on/near Elgin Street, you can take the 85 or the 97 towards Laurier E/Cumberland (University of Ottawa). 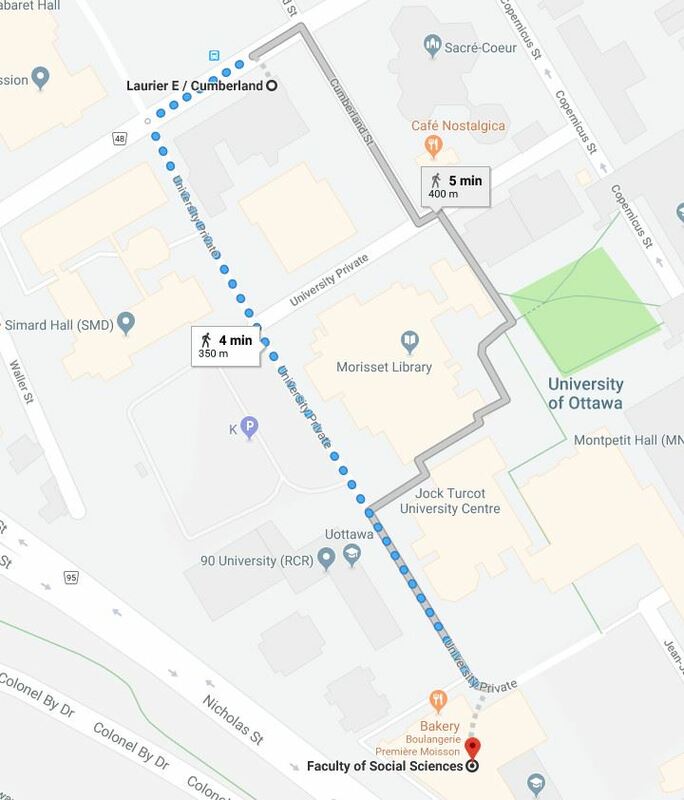 All buses stop at the CF Rideau Centre, which is a 7 minute walk to the University of Ottawa.